"I felt that one had better die fighting against injustice than to die like a dog or a rat in a trap"
In honor of it being February, and therefore Black History Month, I wanted to do a special entry highlighting a major historical figure of note, both in the struggle for civil rights and the struggle for women's rights: Ida B. Wells. Ida B. Wells was born in July of 1862, in Holly Springs, MO to James and Lizzie Wells. Ida and her parents, as well as the rest of the people still held as slaves in the Confederate states, were declared free by the Union six months after Ida's birth with the issue of the Emancipation Proclamation. Ida's parents were active in the Republican party during the Reconstruction, and her father helped to found Shaw University (now Rust College) and served on the first board of trustees for this school dedicated to educating the newly freed former slaves. Ida recieved her early schooling at Shaw, but was forced to drop out when her parents and one of her siblings died during an outbreak of yellow fever--leaving Ida as the head of her family to care for her other siblings. Though tragedy ended her education at Shaw, she was a resourceful and very intelligent person, and Ida convinced a nearby school administrator that she was 18 in order to gain employment as a teacher in order to provide for her siblings. Later, she moved with her siblings to Memphis to live with an aunt. Here, she continued her education at Fisk University. In 1884, Ida encountered a turning point in her life on the road to becoming a journalist and an activist. Having purchased a first-class train ticket to Nashville, she was confronted by the train crew and ordered to move to the car for African Americans. Outraged, Ida refused on the principle that she had legally purchased a ticket for the car in which she was riding. When the train conductors forcibly removed her from the train, she bit one of them. She sued the railroad, and initially won the settlement--but the Tennessee Supreme Court later overturned the decision.This experience inspired Ida to begin writing and publishing about the issues of race and politics, especially race and politics in the South. Under a pseudonym, her articles were published in black newspapers and periodicals, and she eventually became the owner and editor of the Memphis Free Speech and Headlight and of the Free Speech. While working as journalist and a publisher, was an avid and extremely vocal presence in the campaign for equal rights. Drawing from personal experiences and observations of things happening t her friends and family, she wrote powerful articles condemning the inaction of the justice system with respect to the wrongful deaths of black community members, such as the lynchings of Tom Moss, Calvin McDowell, and Will Stewart. Her writings were powerful enough to cause enough anger in the white community of Memphis that a mob stormed her news office and destroyed all her equipment while she was traveling gathering information on other lynching incidents in the country. Threatened with death should she return to Memphis, Wells relocated to the North where she wrote an extremely in-depth report on lynching in America for the New York Age. 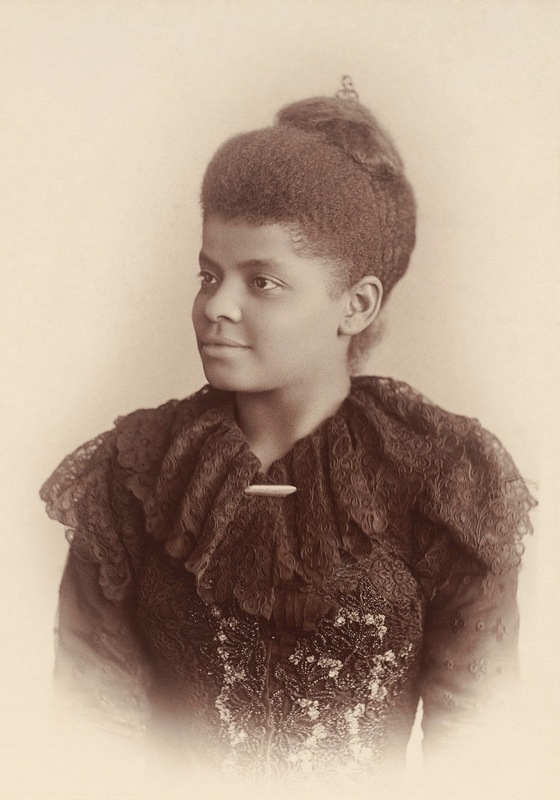 She began a lecture series in Europe, in an attempt to gather support among reform-minded white supporters, and continued to write powerful expositions on inequality, life, and misrepresentation in America, with support and funding from her associates Fredrick Douglass and Ferdinand Barnett. She brought her anti-lynching campaign all the way to the White House in 1898, leading a protest in Washington, D.C.
Ida B. Wells established several civil rights organizations in her lifetime, including the National Association of Colored Women in 1896. She is also considered one of the founding members of the National Association for the Advancement of Colored People (NAACP), however she later cut her ties with the organization, stating that she felt the organization had lacked sufficient action-based initiatives. She created the first African-American kindergarten in her community, and was an active member in the fight for women's suffrage. In 1930, she attempted to run for the state senate, however poor health caused this endeavor to be unsuccessful. She died of kidney disease in March of 1931 at the age of 69, in Chicago, leaving behind a legacy of social and political heroism--fighting injustice and prejudice, no matter the cost to her personal safety. Kate Beaton, author of the webcomic Hark! A Vagrant penned a collection of comics summarizing Ida B. Wells' life. For more information on Ida B. Wells, as well as some concise and informative videos, check out her entry on biography.com. For more information on Black History Month in general, check out the Ocean City Free Public Library's subject guide on Black History Month.